I've now used both the Faberdashery PLA filament and the ColorFabb PLA/PHA for a while now. Each has their own properties and I use whichever is the most appropriate for the task. The following is my experience using the two, I have not done any scientific tests, these are just my opinions based on the many successful and unsuccessful 3D prints I have done over the last year on my Ultimaker 2. I can't show strength in a photograph but I have some examples of the warping and the higher detail of the Faberdashery PLA. The same print came out perfectly, several times, using ColorFabb PLA/PHA but the one time I used Faberdashery PLA it warped. 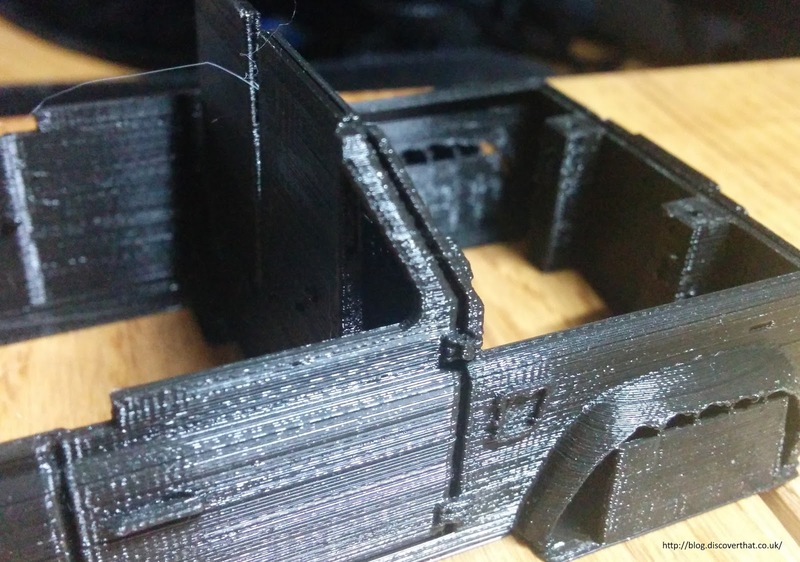 This is easy to fix by adding a brim but it is just a good example of the difference in properties of the filaments. 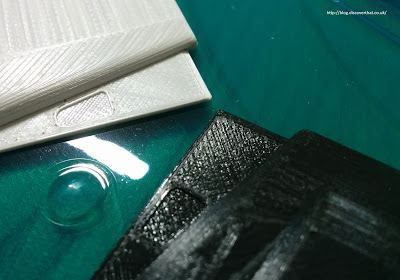 It's much harder to see the difference in quality in photos but if you look at the surface of the flat areas on the corners closest to each other you can see how the black ColorFabb is almost bubbly. By eye it is more noticeable that the Faberdashery is crisper. Although I can't show strength I can give an example of the layer adhesion. 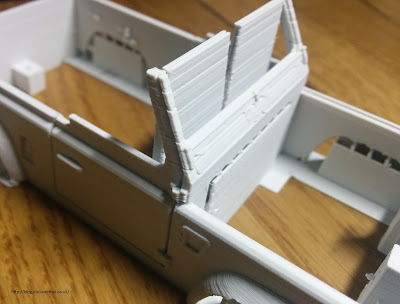 Again in the photos, the white is Faberdashery and you can clearly see where the print on the A-pillar has several deep notches where the layer has not formed properly. 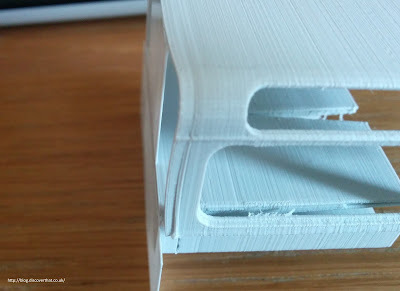 If you look closely on the black ColorFabb version, the layer imperfections are still present on the door pillar but far reduced. I use both. 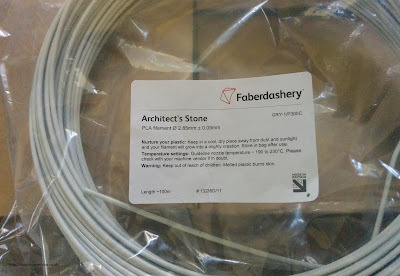 Fairly obviously, I use the ColorFabb PLA/PHA where strength is more important and Faberdashery PLA where the detail is more important. The other essential tip that applies to both filaments is how it gets in to the printer. 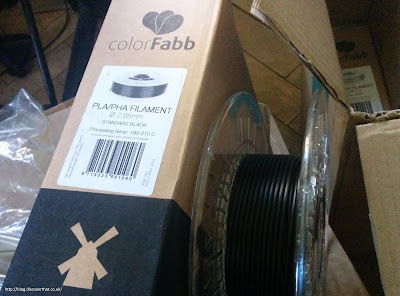 I think that the spools, as used by ColorFabb and Ultimaker themselves, are too tightly wound. The weight of the full spool is often too heavy for the feeder to pull and when the filament has been pulled out and is close to the core it is too curved and gets caught going through the Bowden tube! 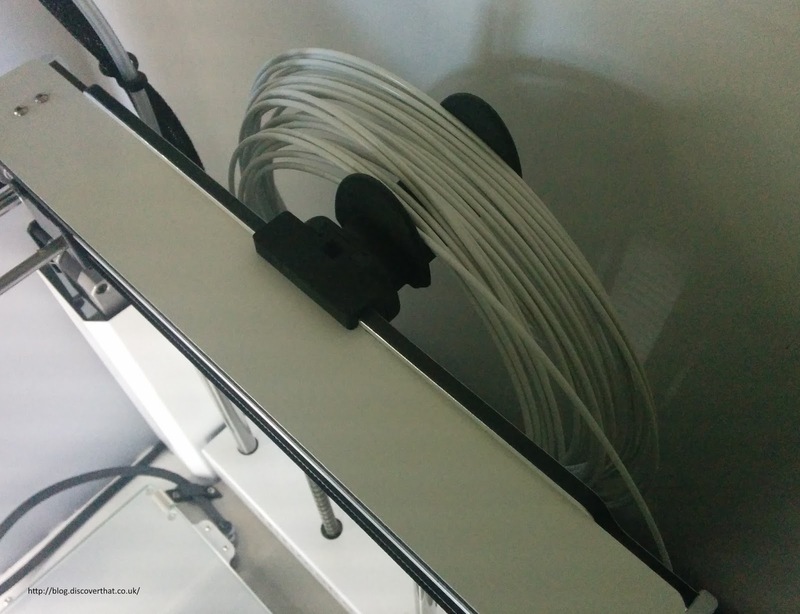 I separate lengths of filament in to coils up to about 12m long and use a simple hook on the top of the printer to hang a coil on. I have found this is much more reliable. I removed the original spool holder so the coils don't catch on that as they are pulled taught before the friction gives way and they rotate round the hook.